Dr. Wayne W. Dyer began every day by looking in the mirror and thanking God “’for this life, for my body, for my family and loved ones, for this day, and for the opportunity to be of service. Thank you, thank you, thank you!’” David Steindl-Rast, a Benedictine monk, teacher and author, believes you can be grateful in every moment. And psychologists Robert Emmons and Michael McCullough have found that “people who consciously focus on gratitude experience greater emotional well-being and physical health than those who don’t” as reported in The Chopra Center. So how do you practice gratitude? And why is it so powerful? Personally, I can get caught up in the day to day, the stresses of scheduling, deadlines, and making sure I am living up to my potential and doing good work. The hustle and bustle of the day can cloud my vision, making it easy to forget to take a step back and realize how far I’ve come and how I am actually living my dreams. 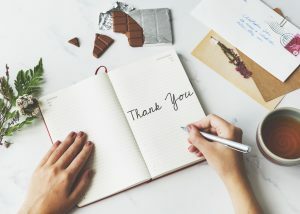 Even if not everything is going as you wish, even if you are struggling, practicing gratitude can help give you a different perspective on the circumstances of your life and make you appreciate the things you do have. I personally make it a point to practice gratitude daily. I meditate daily, starting off by thanking the universe for everything I am grateful for. And when I do this, I always feel a sense of peace wash over me, even amidst all the craziness of the world right now. And it doesn’t have to be the universe you thank for these things, as I do; you can thank whatever it is you feel connected to: Perhaps a higher energy that connects us all as one, which is what Dyer was referring to when he said “God”; your family, your friends, or even, and almost most importantly, you can thank yourself. 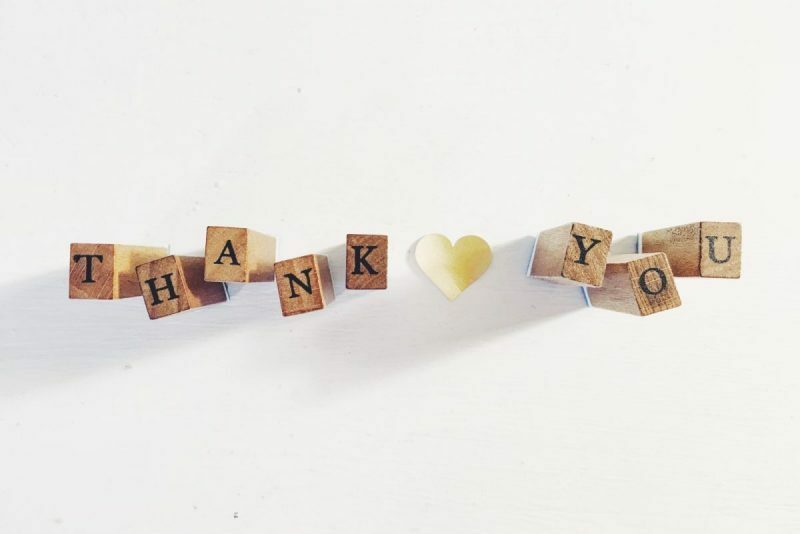 Steindl-Rast spoke to Krista Tippet on her podcast “On Being,” and recommends this method to harness the power of gratitude: Stop. Look. Go. By stopping, we pull ourselves out of our crazy, busy, stressful lives in which we are just fulfilling obligations, and put ourselves squarely in the present moment, a place we rarely let ourselves stay in for long in the modern world. Scientific research has proven that expressing more gratitude actually makes us feel more grateful. So maybe you just need that one push, that first time when you force yourself to look in the mirror and say thank you to yourself; then everything will flow from there. And if you need a little nudge in the gratitude direction, consider starting a gratitude journal. Set aside 15 minutes every morning or at night before bed (schedule it in your calendar so you don’t forget!) to write down all the things you are grateful for each day. I almost guarantee it will bring a new sense of peace into your day to day life. This entry was posted in Inspiration, Self Care, Soul and tagged give thanks, gratitude, power of gratitude, thank you.